Thanks to Coach/Professional Photographer David Nurse for driving the 2 hours each way from AVC to support AVC. Heading to the State Tournament!!!!! Winning 3 ball with 2 1/2 second left. 25 Rebounds of AVC’s 55 in game. Getting ready for the two hour drive to Citrus College where AVC is looking to upset the home team(22nd Win this year) and to play in the State Tournament next week. I will be keeping you updated during the game that starts at 7 p.m.. Go Marauders!!! Plan on meeting AV Jim at the game as he is back being a staunch AVC fan again after their big road win over Saddleback and Ventura’s second round loss. GLENDORA – The hat trick? Well that’s what the Citrus College men’s basketball team is hoping for. 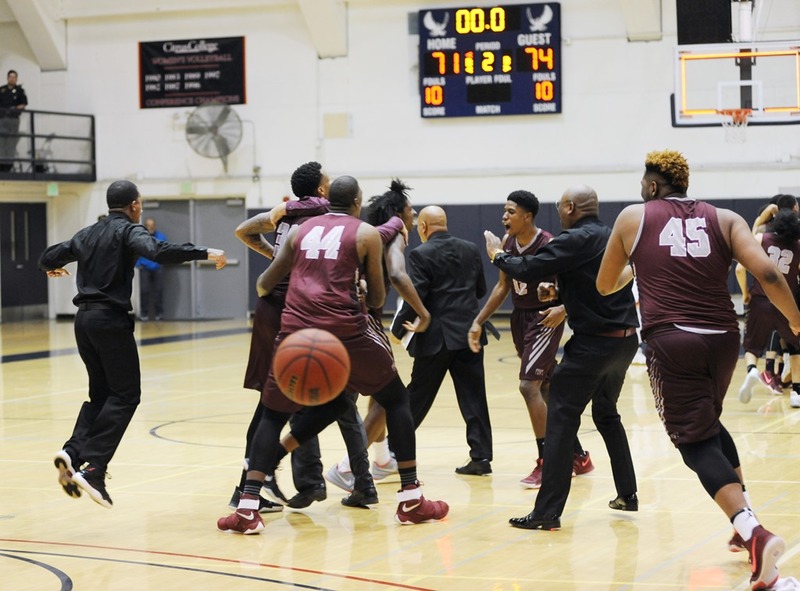 On the other hand, the Marauder men’s basketball team is looking to make its second consecutive Elite Eight appearance and with that comes defeating the Owls for the first time this season. "I think we’re ready. We have to go out and give it our best shot," AVC head coach John Taylor said. "We’re playing our best ball of the season and I like our chances." However, it won’t be easy for the Marauders (21-10). Citrus (24-6) has defeated AVC in both matchups this season. 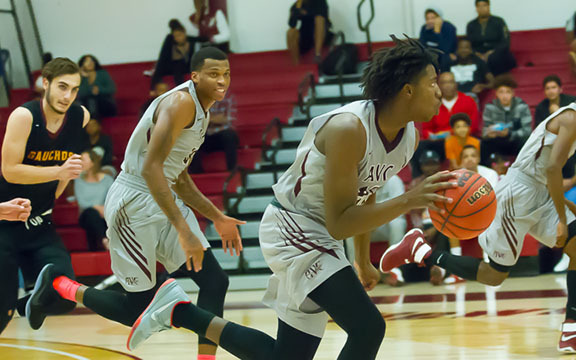 The Owls came into Marauder Gymnasium when AVC was in first place and left with an 80-75 victory. 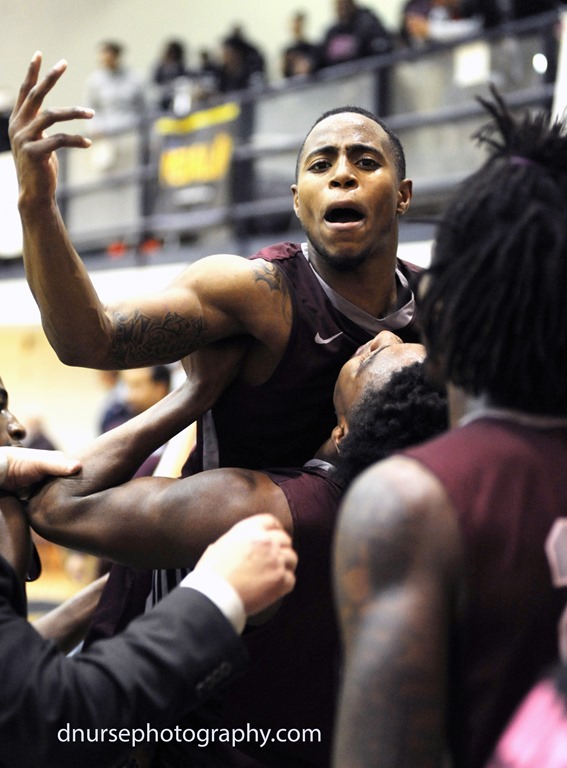 A few weeks later the Owls did it again at their home defeating the Marauders, 81-72. 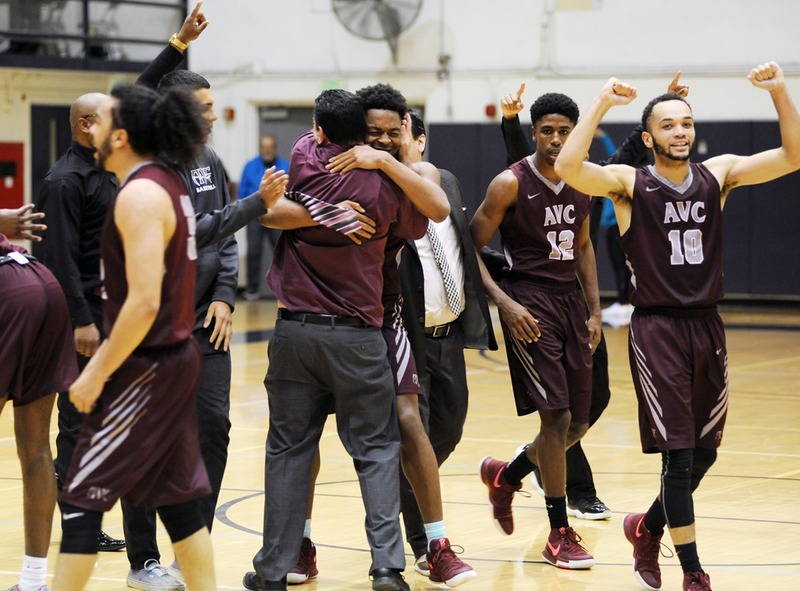 Still AVC has been playing some of its best basketball of the season. It currently rides a three-game winning streak, ironically its last loss came against the Owls. 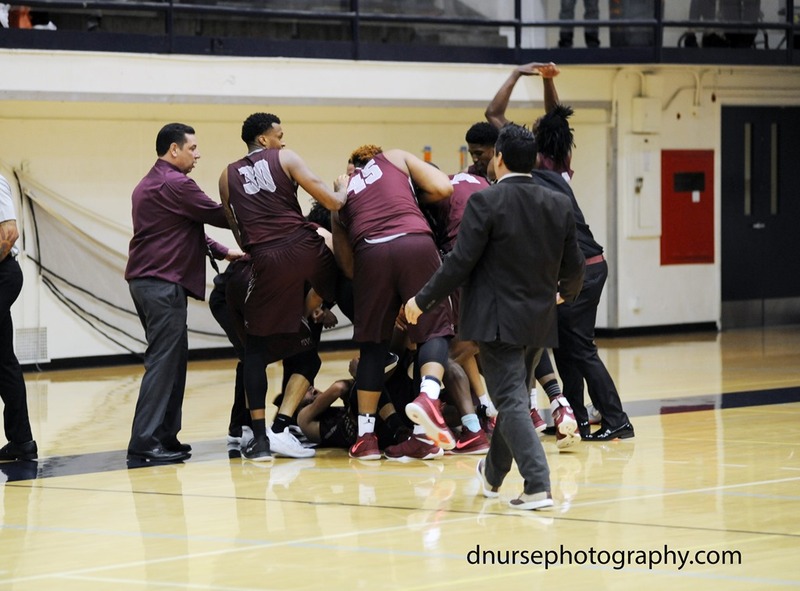 Those victories included a blowout victory against Glendale College, 116-74, and two playoff victories against Santa Monica College (89-80) and Saddleback College (79-67), avenging an earlier season defeat to the Gauchos. "We have to change a lot of thinks we didn’t do (against Citrus). 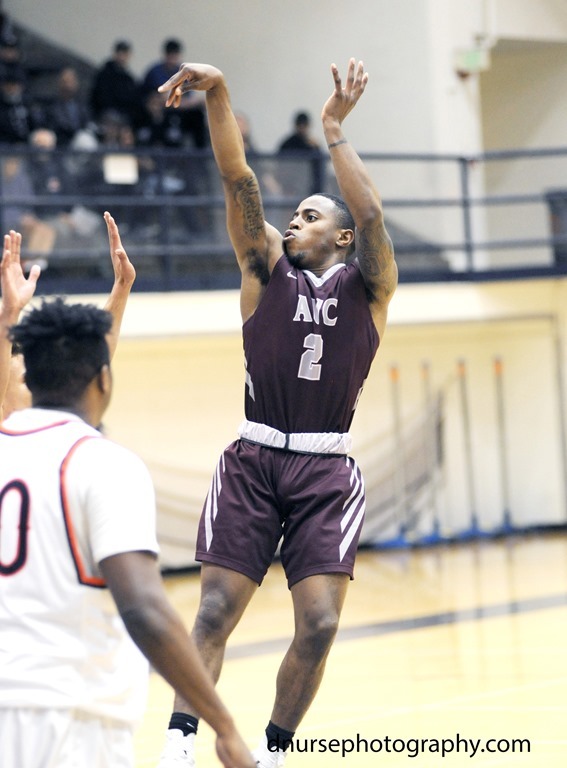 We have to work harder on defense since they’re a shooting team," AVC’s Jailen Gill said. "I don’t think we played to the best of our ability (in both losses). We know what’s at stake. I think everybody is buying in. We either come ready to play or we don’t take care of business. We understand our season can be over." Gill has been dominant against the Owls in both games this season. He is averaging 18.5 points per game and 11.5 rebounds per game, including a 24-point, 11-rebound game at home on Jan. 25. The Marauders will also need another solid effort from Antone Warren. AVC’s big man in the middle was very efficient in the first meeting between the two teams but played limited minutes due to foul trouble. He finished the game 5-of-6 shooting with 10 points and six rebounds in only 10 minutes of action. Warren ranks No. 6 in the state in field goal percentage (63.1), while Gill is right behind at No. 7 (62.5). Reggie Byers is another player that has given Citrus fits. 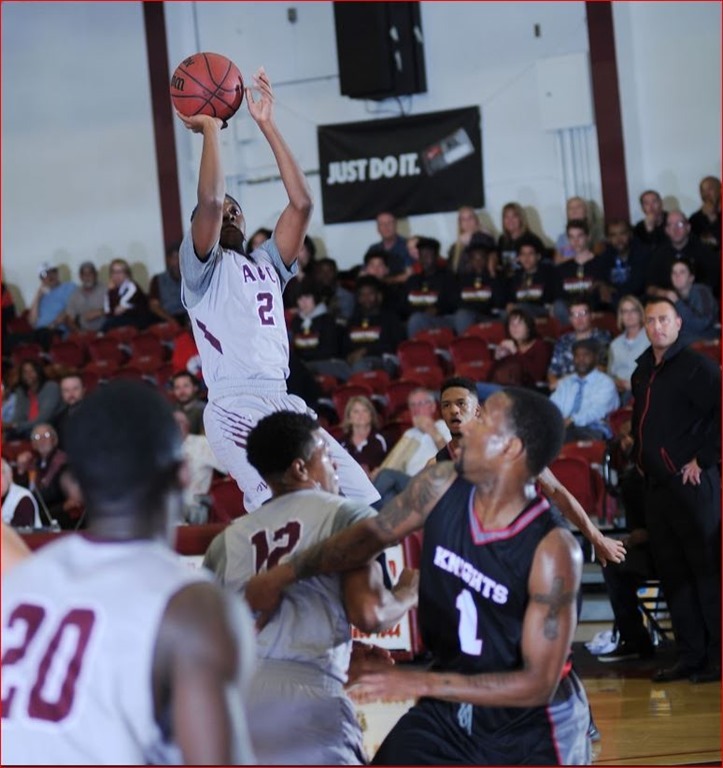 Byers, who was recently inserted into the starting lineup the past three games for AVC, has averaged 17 points per game in two meetings with the Owls. Byers will also have the daunting task of guarding Citrus’ Jeremy Smith. Smith has torched the Marauders, averaging 23 points per game. "We have to go out hard like we did against Saddleback. I feel like I need to guard him (Smith) full court the whole game and let him get nothing," said Byers. "We definitely have to defend the three. If we stop them from three, we’ll be good. I’m feeling so good about this game. I haven’t been able to sleep." In two games this season, the Owls have netted 21 3-pointers against AVC, including going 13-of-27 in the second meeting at Citrus. The Marauders struggled in their seven games prior to entering the playoffs, allowing a combined 75 3-pointers to their opponents. "We have to do a better job defensively and not allow them to get second and third shots," Taylor said. "We have to do things to offset what they do. 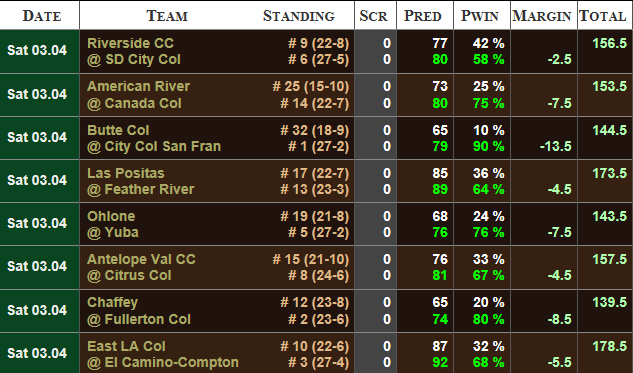 If we play like we have against (Glendale, Santa Monica and Saddleback), I think we have a good chance. D’Mauria Jones could be a key factor in Saturday’s game. The freshman who can score at anytime, brings energy and a defensive prowess that will be pivotal against the Owls’ guards. "They’re a really good team and it’s going to be a heck of a game," Citrus head coach Brett Lauer said. "Both teams are playing really well. It’s going to be a battle. It’s always fun to be playing games in March." According to Massey Rankings, Antelope Valley College is a 4.5 point underdog today against Citrus. Add to that, Citrus has a 67% chance of winning the game in comparison to only a 33% chance for AVC to pull out the upset. Predicted score in today’s game; Citrus 81 AVC 76. Have a feeling AVC might not agree with this prediction as they were big underdog against Saddleback on the road last weekend as well. All the home teams are predicted win in tomorrow’s eight games. Final Practice Before State Tournament…Peaking at Just the Right Time? Last day of practice today for the third round game of the regional playoffs against Citrus College. Winner of this game heads to the State Tournament. The team is as ready as they can be. Physically, the team is as healthy as one can hope for with 31 games under their belt. The team has peaked mentally and emotionally just at the right time with three huge wins in a row including two road games. The coaching staff has put together a game plan based on intimate knowledge of their opponent(two games against them this year) and where the AVC team is today. Should be a great game tomorrow. Antelope Valley College @ Citrus College, March 4, 2017, 7 p.m.
“Vulcan Mind Meld” at Antelope Valley College Basketball Practice? You can feel it! 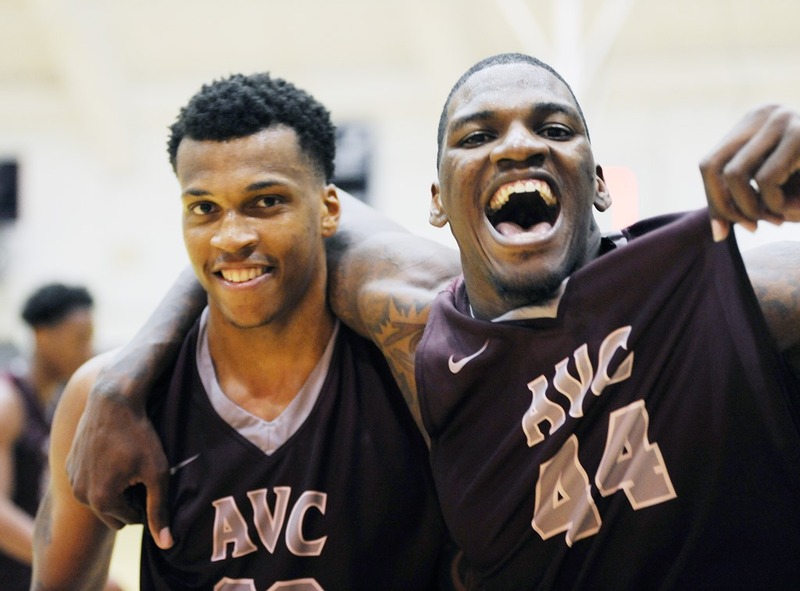 The intensity and expectations continue to grow for the AVC men’s basketball team. 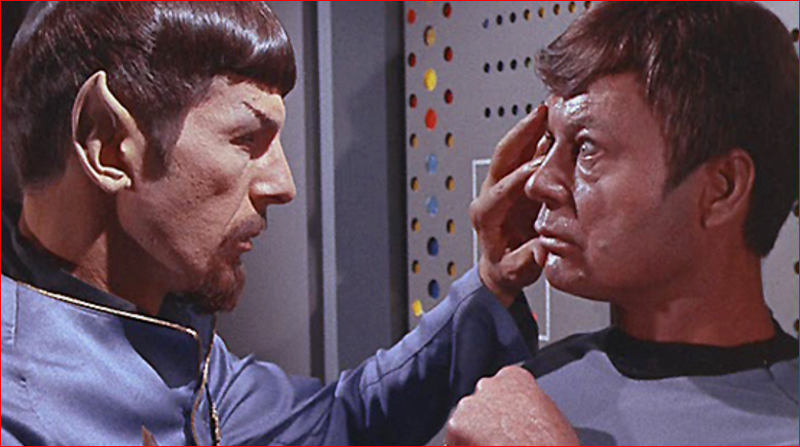 The team members and the coaching staff seems to have reached the Vulcan Mind Meld stage which is a telepathic link which allows an intimate exchange of thoughts, thus in essence enabling the participants to become one mind, sharing consciousness in a kind of gestalt. For you folks who suddenly are confused on what I am talking about, watch a few episodes of the original Star Trek series. The Marauders have now made playoffs for 27 of the last 28 seasons, and the last 10 straight. They are on a two game winning streak in the playoffs and a one game winning streak on the road in the playoffs after snapping a six game losing steak with the win against Saddleback. Will this “mind meld” allow AVC to continue adding to its streaks on Saturday against Citrus and roll into the State Tournament? AVC transfers keep taking their teams to their National Championship Tournament. 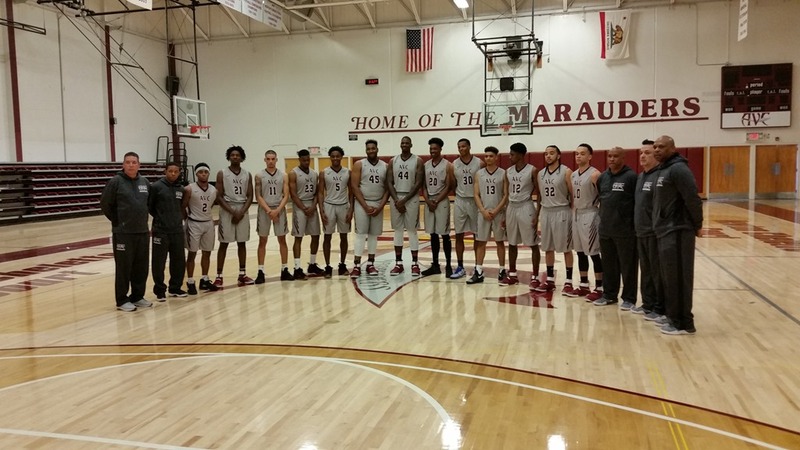 AVC’s Chris Martin, with 10 three balls in the second half, led Coran University to their conference title and a birth in the NAIA National tournament. Chris broke the CCC Tournament record with his 10 three’s in one half with a total of 34 points for the game. KLAMATH FALLS, Ore. – While making history in more ways than one on Tuesday evening, the Corban University men’s basketball team captured the 2017 Cascade Collegiate Conference (CCC) Tournament Championship presented by U.S. Bank, upsetting No. 22-ranked and No. 4-seeded Oregon Tech, 109-95. Via winning the CCC Tournament Title and continuing the CCC’s Cinderella story, Corban earned the CCC’s second automatic berth to the NAIA National Championships, set to begin next week. Click the ‘Play Button’ on the photo above for video highlights from the CCC Championship. For the Warriors, it marked the program’s fourth-ever CCC Tournament Title, and the first since 2002. Corban became the first-ever No. 8 seed to make it to the CCC Tournament Championship game, and now the first ever to win the contest. The Warriors registered three wins within a seven-day span over three top-25 teams, handing each CCC foe its first loss on their home floor all season long. The Navy and Gold came into Klamath Falls in front of a crowd of nearly 2000 people, and the Warriors never trailed en route to silencing the Owl faithful in what turned out to be a shooting clinic for Corban. In the first 20 minutes, whether it was Jake Love nailing a big three-pointer, or if it was Jeremiah Harris with a big bucket inside, the Warriors built a lead and did not let Oregon Tech build any momentum, taking a 54-38 lead into the halftime break. In the second half, Chris Martin started with a three-pointer early on, setting the tone for what was to come. Oregon Tech once again tried to make runs at the Warriors, and pulled to within eight points on a couple of occasions, but Martin had the answer every time for Corban. Martin continually kept the Owls on the back foot in the second stanza defensively, and while crossing players up and pulling up for deep three-pointers, Martin eventually drained a CCC Tournament record 10 second-half three-pointers. He capped off the historic 34-point performance with a long-range effort from just inside of the half-way line, sending the Warrior bench and fans into a frenzy as the Warriors then celebrated following the final buzzer on the court, knowing they had punched their ticket to nationals. As a team, Corban shot 15-for-25 from downtown for a 60.0% mark, and overall from the floor, the Warriors shot 54.1% in the triumph. On top of Martin’s unconscious performance, Love finished the evening with 20 points, while AJ Monterossi totaled 18 points for Corban. Additionally, Jeremiah Harris totaled 12 points and a team-best nine rebounds while helping Corban win the rebounding battle, 41-32. With the 15 three-pointers made on the evening, Corban has now made a three-point shot in 998-straight games, the longest streak in the NAIA. Corban (18-15) finds out who it will be playing next when the announcement for the NAIA Division II Men’s Basketball National Championship bracket is announced on Wednesday evening. For now, the Warriors are dancing.